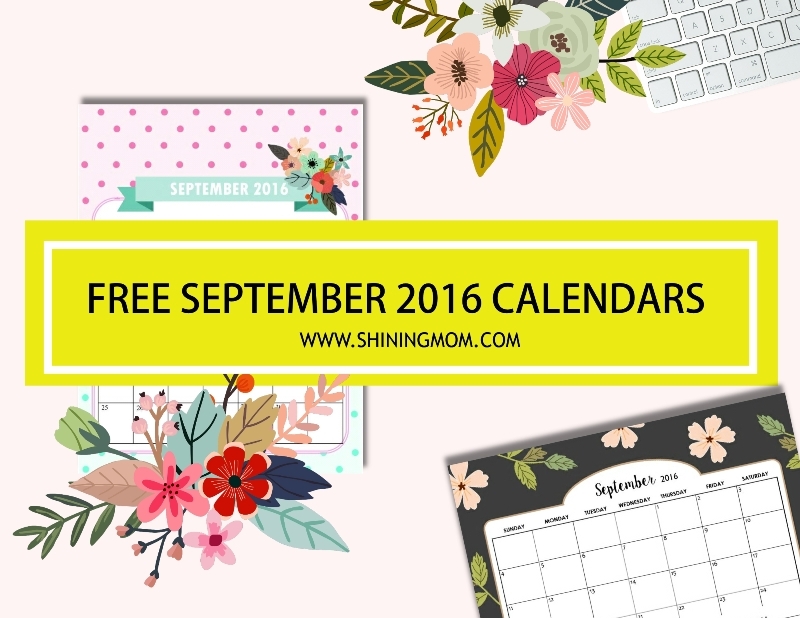 All Lovely: Free September 2016 Calendars! 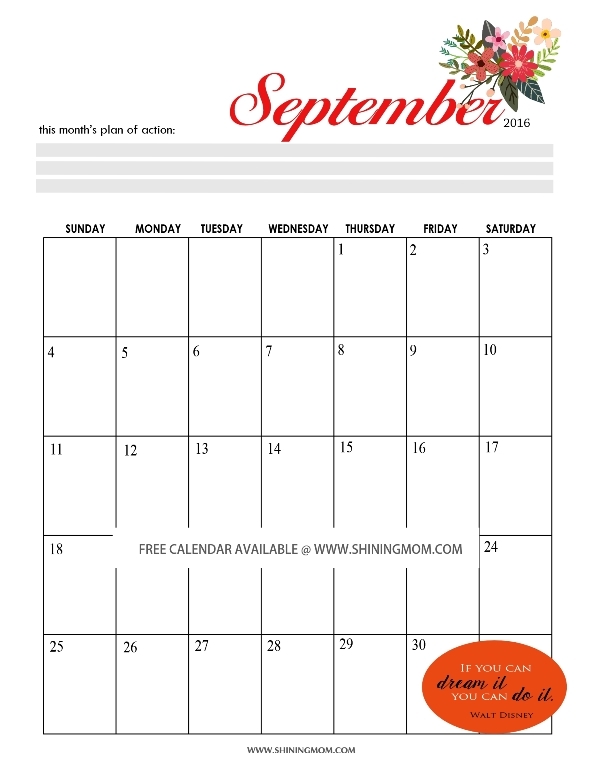 It’s time for you to get your free calendars for September! It excites me to release them as they are my favorite designs for the past months. 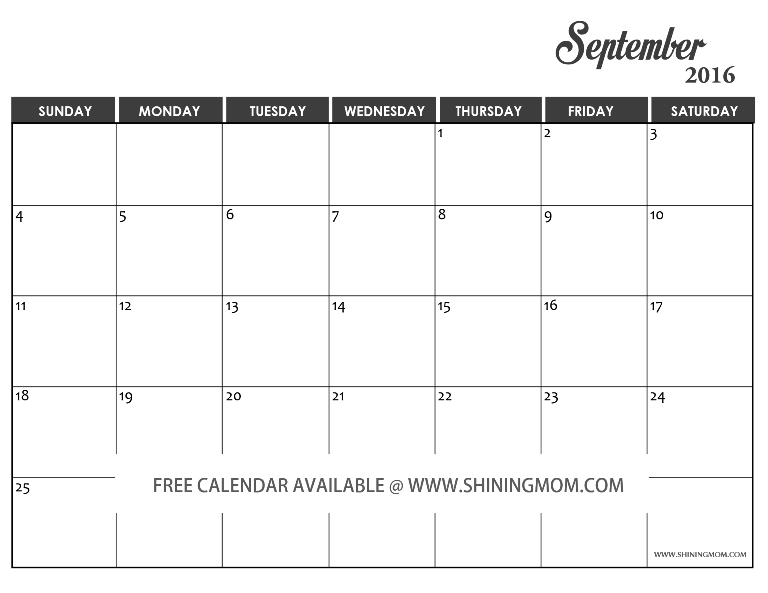 Yes, your free printable September 2015 calendars are all lovely, that I guarantee! And, you have a dozen of designs to choose from! 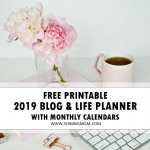 I admit, aside from spilling out my stories on motherhood, sharing calendars is one of my favorite things to do on the blog. And, I am extremely grateful that a lot of you are using my calendar creations– you guys make my heart feel so full! Thanks for all comments and e-mails you send me, thanks for reaching out just to let me know that you are happy with them! Know that I am happier because you are putting them to good use! So what are the designs that I have for you this time? Come take a look! 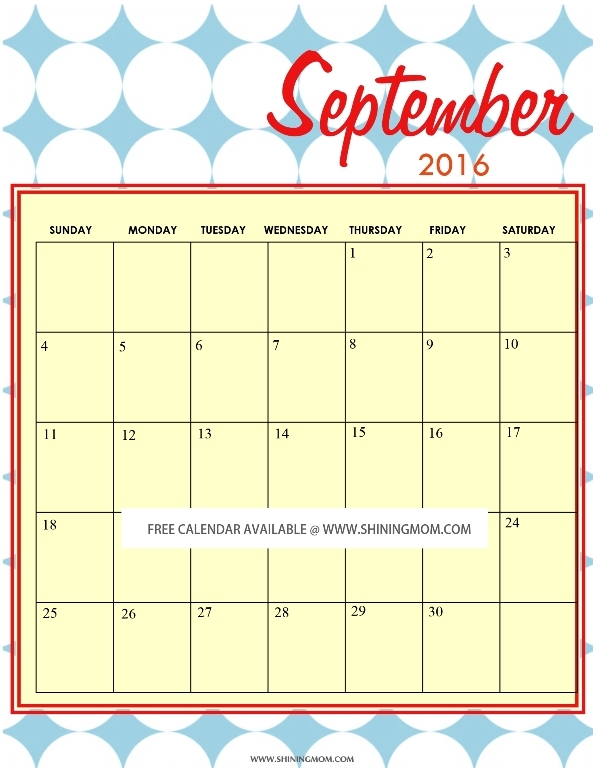 Here then are your free calendars for September 2016! I’d like to start this roundup with my favorite release from August. 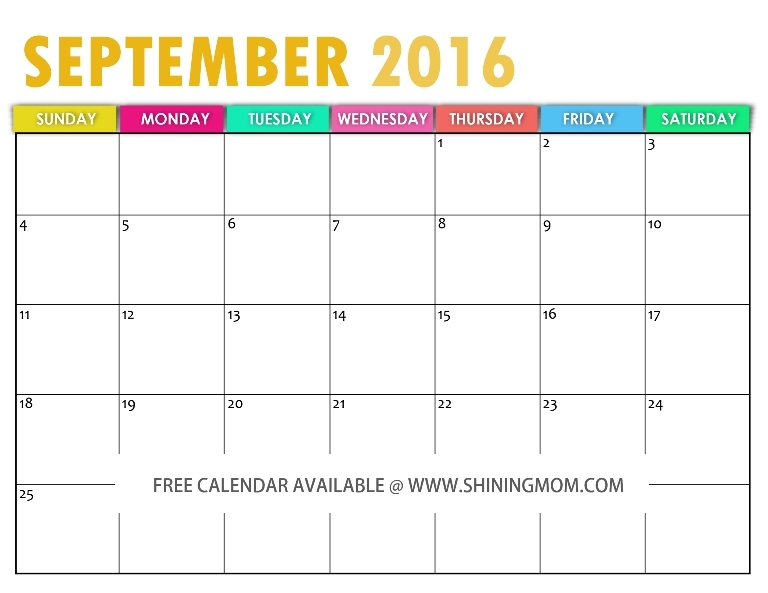 This bright and cheery calendar for September 2016 will definitely start your every day to the right mood! Print this out for yourself, even for your kids! Since some of you have requested for this version to be released in my monthly calendar publications, here it is! 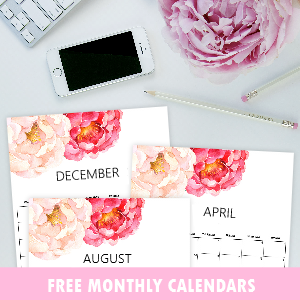 Equally bright and cheery, equally great to use in planning your month! 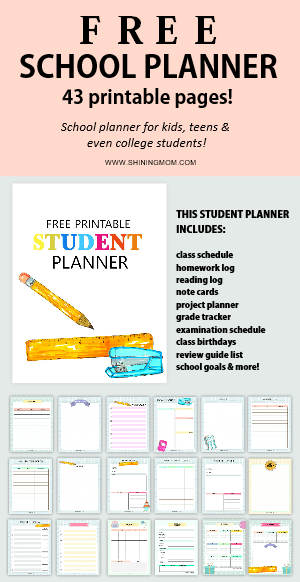 But wait, did you know that I have previously released a free planner of this design? 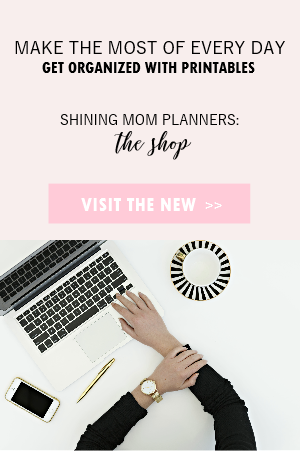 It’s one of my most-loved from my monthly planner releases! 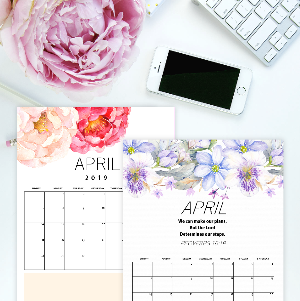 The planner was for my May edition but since it’s not dated, you can print it and use it for this month, too! 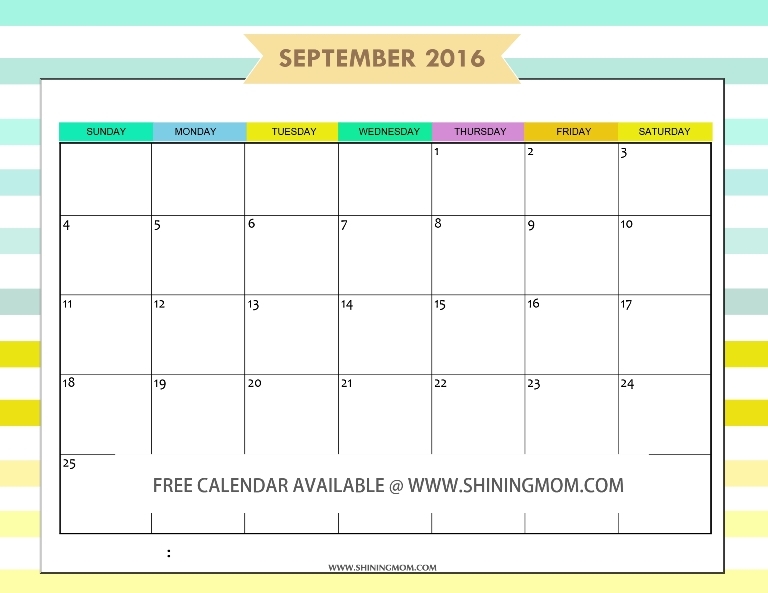 It’s a perfect match to this cute September 2016 calendar! 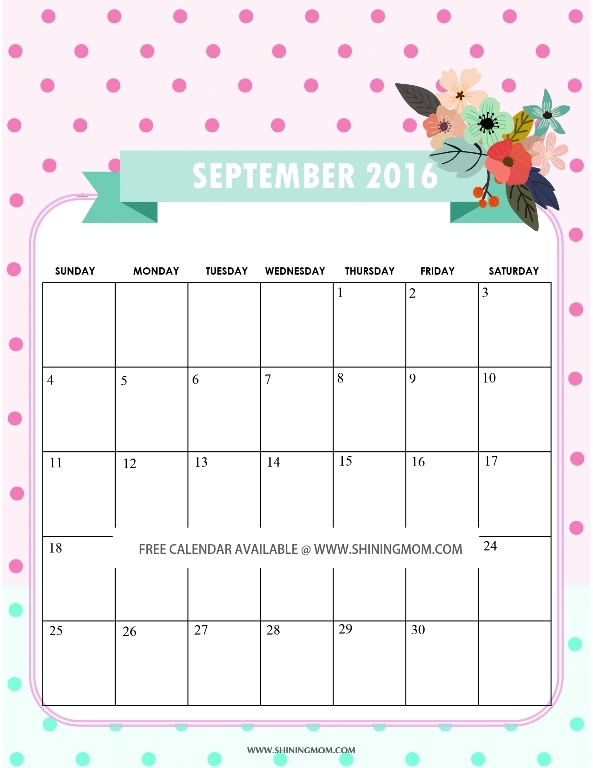 Who here likes a pretty and girly calendar to use for September? 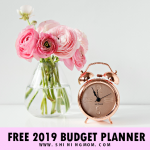 This next lovely is surely a delight to use for your monthly planning! Moms, this is great for you and your little girl! Use this in your workplace or have it printed for your girl’s binder! I know a lot of my readers from the USA are now currently looking for calendars to use for their kids as the school is already starting. 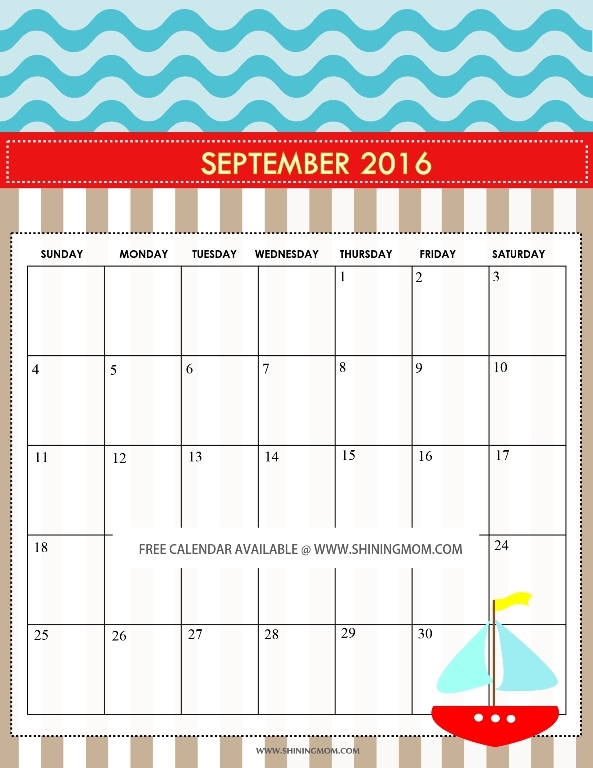 Here’s a cute nautical themed September 2016 calendar that is excellent for your kids! 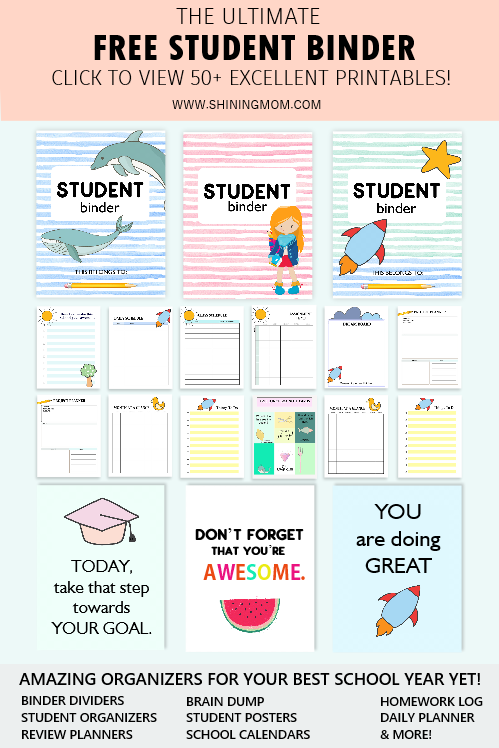 For my teacher friends as well, this will be nice to use in your classrooms! You were expecting this calendar design from this set again, yes? 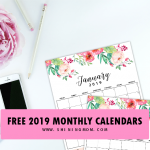 Uniquely, this favorite calendar from Shining Mom releases come in black background with pretty pink flowers as adornment! Absolutely lovely to use in homes and offices! I know some of you are looking for a truly plain design to use. 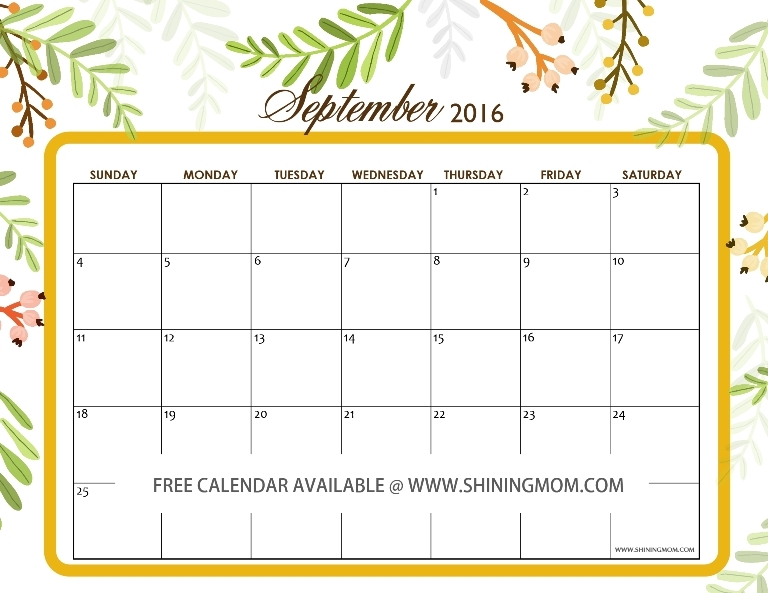 Here’s a simple calendar template for September 2016 that you can use! It’s in black and white with no frills! In addition to your calendar options for September is this truly perky one! 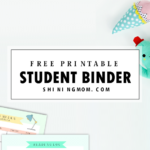 Great to use for your party planning! As can be seen, this next calendar of yours is delightfully created to bring bliss in your monthly planning. Those dancing leaves and flowers are definitely something to love! The design elements are my purchases from Mia Carro of Creative Market! 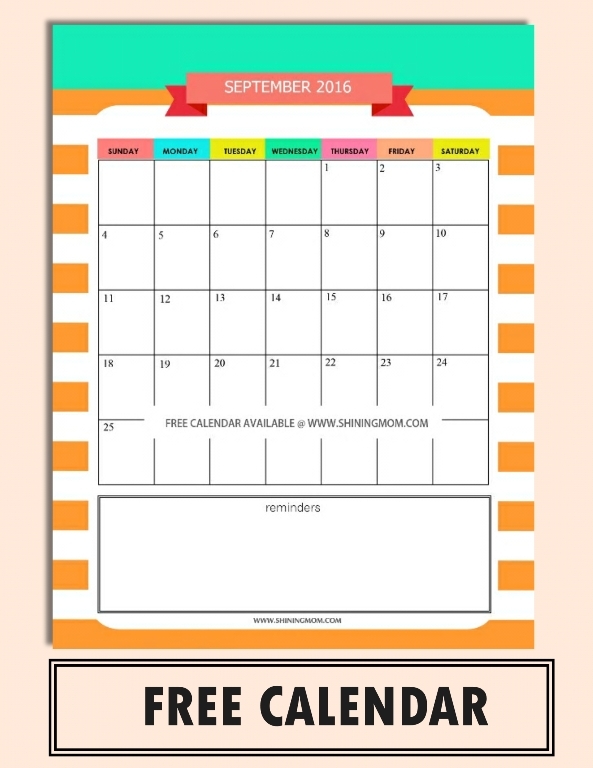 Another fun design that you can use in your September planning is this cute calendar! It comes in modern look, with stripey background! 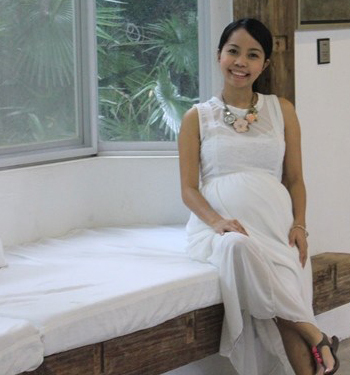 There’s also a pop of pink on top to make it all the more endearing! Ladies, grab and use this! This calendar also has an area for your notes at the bottom! Well of course, I am sharing this favorite design of mine. 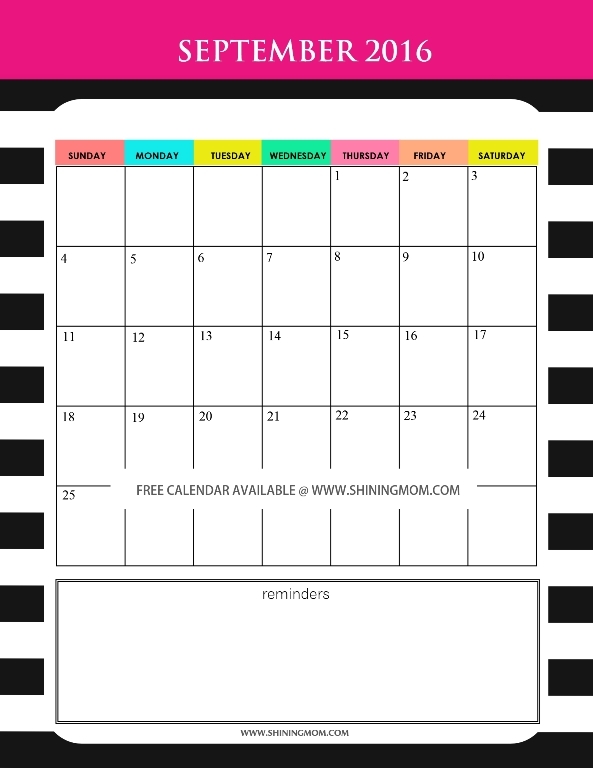 A little goo news: Did you know that this deign has been released as a free yer-round calendar for next year? It’s absolutely something that YOU SHOULD CHECK OUT. You may want to have the January till December copy of this calendar already to plan your year ahead! 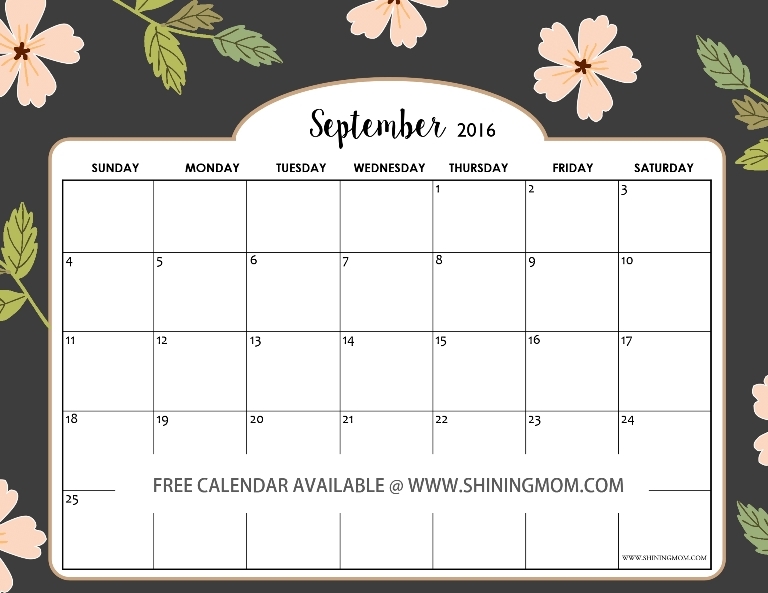 Free September 2016 calendar to print and love! Lastly, I am sharing a new layout that I think you might like again. 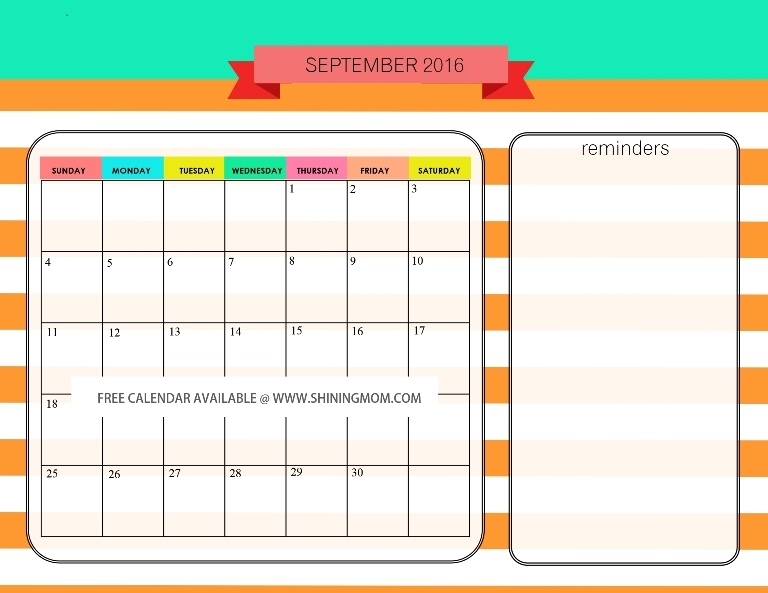 This cute calendar for September 2016 also has an area for your personal reminders! It is popping with fun colors, too! 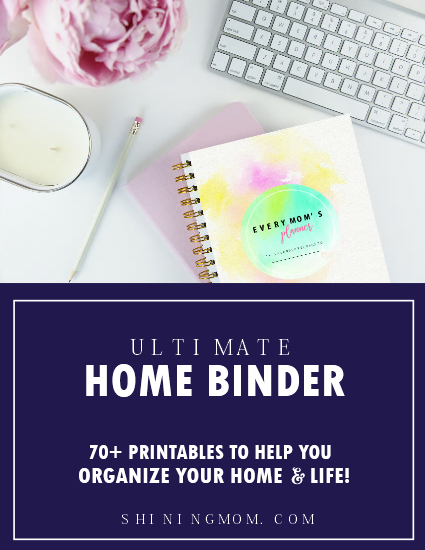 Moms, print it for your kitchen counter, or even working tables and it will sit perfectly! Then, print another copy for your kids’ school-use, too! That’s it! A dozen of calendar options. =) For your convenience, I have created two files for your downloads. The first one is for all the calendars in landscape format while the other one is for all those in portrait. Get them HERE and HERE. I hope you again will enjoy these calendars, sweet friends! So, which ones are you printing from this set? 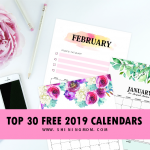 Print a calendar for yourself, for the kids, and even your friends! =) And oh, December 2016 monthly calendars are out as well! They’re all fun, Christmas-themed designs! Get them HERE! A big announcement: My calendars for next year are out already! Yaaay! Go HERE should you like to see them! Have a great ahead! I am so glad my friend and colleague introduced me to your blog. It is refreshing and useful. Thanks much.